First I just have to show you who appeared under the tree in the horse pasture. You know how we all have so much to do these days and it can feel a bit overwhelming? And how we seem to find ourselves often working through the weekends even though that’s supposed to be family time? Well, Katie Davis happened to mention a (relatively) new system called Simpleology. I read about it and thought it sounded interesting… and tempting… and then Pat Miller said she was trying it. So I thought, what the hey? I’ll try it too. Ah, that’s better. I’m sure you’re feeling much stronger now. Breakfast, after all, is the most important meal of the day! Ready for Would You Read It? The Pitch: Six-year-old Remy loves adventure—just so long as it never leaves the garden. So she hesitates when her parents surprise her with a trip to Paris. How can she leave all of her favorite things? It might take some convincing, but if Remy will leap into the new and wonderful Parisian culture she might just learn that beauty and her favorite things can be found in many places. They just might have different names. Please send YOUR pitches for the coming weeks! For rules and where to submit, click on this link Would You Read It or on the Would You Read It tab in the bar above. There are openings in July so polish up those pitches for your chance to be read by editor Erin Molta! Thanks for the thoughtful input C! It's so encouraging to hear that you would enjoy using this in the classroom! I am new to this site. This is a site I could easily get carried away on. I will be back. Kimberly, You could write another book about Remy's Garden Adventures which lead up to this story. Then other books on other places she now enjoys with her family and expose some other fears she conquers on her travels…. bed wetting, getting lost, taking public transportation, etc. You have my mind going in so many different directions and I haven't even read the book. I'm your first customer and want a signed copy. My first thoughts of “garden” was one of a beautiful backyard where Remy feels safe and has lots of adventures in her mind or in with her own toys. I also meant to add that stating Remy's age is important for several reasons: 6 yr. olds have to overcome many fears one being separation from “their world” and another would be to let readers know you can begin learning a new language at an early age. I love a heroine who's up for adventure. It's a Yes, I'd read it from me. I think maybe Remy worries more than she hesitates (since the decision to go isn't left up to her). I'd also like to suggest (for what it's worth) that since adventure is what holds her to her garden, adventure (instead of using the word beauty) and her favorite thing are found in different places just with different names. I'm pretty psyched about turning kids on to different languages in a pb. Much success with this, Kimberly. 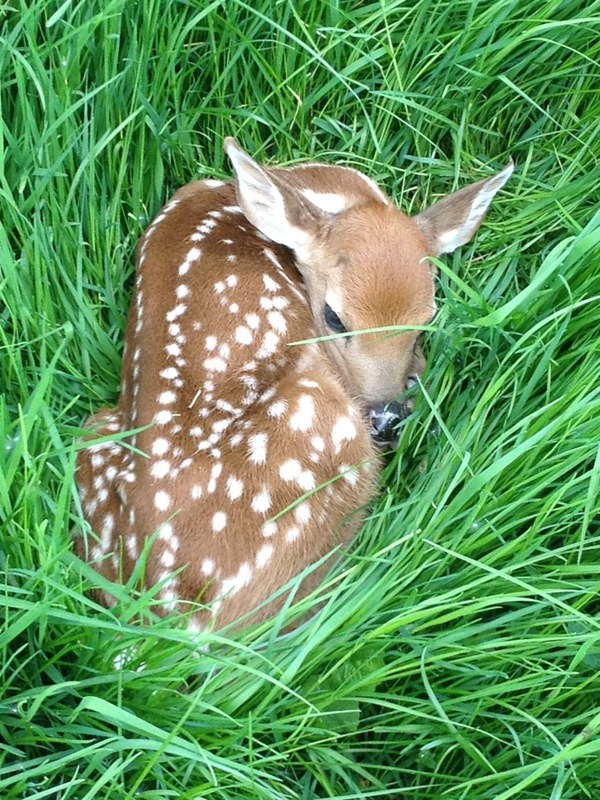 By the way, double smiles for sharing that adorable fawn Susanna! Please update us on your progress with the Simpleology activity. 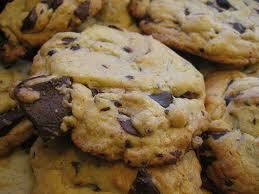 And oh my goodness, that cookie has the biggest chip in it! Mouth watering. I think I may have even shed a tear. So yummy! Thanks for all your helpful thoughts for Kimberly “C” – and I think editors will assume an age for a PB submission and when it's an actual book it will be clear from the illustrations what her approximate age is. Lovely 🙂 Are you a writer as well as a teacher? 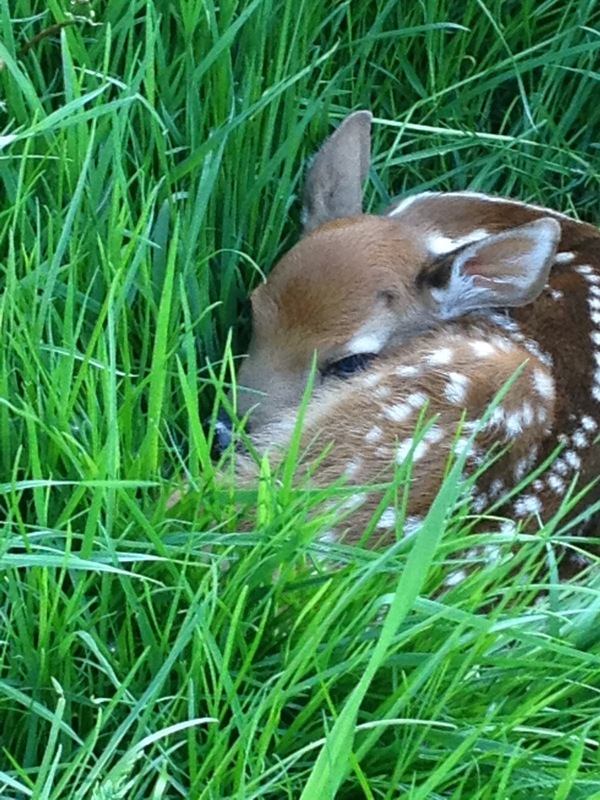 That fawn is one of the cutest photos I've seen all year. I would read the story, but feel it could be shortened. i think you could leave out the following sentences: How can she leave all of her favorite things? and They just might have different names. Love the title. Please stop sending me emails. Take me off you list. Thanks Joanna. I'm so glad to have gotten all this helpful advice. I'm definitely looking forward to reworking the pitch now! Thanks for your comments for Kimberly, Stacy! And hey! You're doing Simpleology too? How do you like it so far? Good luck with your ms request – so exciting! What a sweet surprise under the tree! Thank you for sharing that! The only surprises I get in my grass are from neighborhood pets! I would read it, and I love the opening hook. I want to know a little about why she is afraid to leave her surroundings in the first place. As the pitch stands, I would tighten that long 4th sentence: It might take some convincing, but if Remy will take a leap she might learn that favorite things can be found in many places. Kimberly, your story sounds like a wonderful life transition story. The others suggestions have provided great suggestions for tightening it up a bit. Also from the first word I was thinking about the movie Ratatouille. I know your story isn't anything like Ratatouille, but to have a main character named the same as recent Disney movie and overcoming fears and Paris is a little too much overlap. Remy is a great name, but for this reason I recommend renaming your main character.